Hi, my name is Lisa, and I have a clutter problem. Only, I would like to re-phrase that statement if ever so slightly. We, as a family, have a clutter problem. That's right. It's not all my stuff. I confess, I have a lot of stuff. I keep books I don't need. I have boxes of notebooks in the basement from when I was teaching EIGHT YEARS ago! I buy t-shirts just because they're so stinkin' cheap and who doesn't need another cheap t-shirt?! (Especially when you have a toddler who wipes her breakfast, lunch and dinner on you!) I hang onto things (like baskets my grandmother hands down to me to get the clutter out of her house, only to add it to mine!) that I should throw out or donate. But the stuff in this house is not all mine. 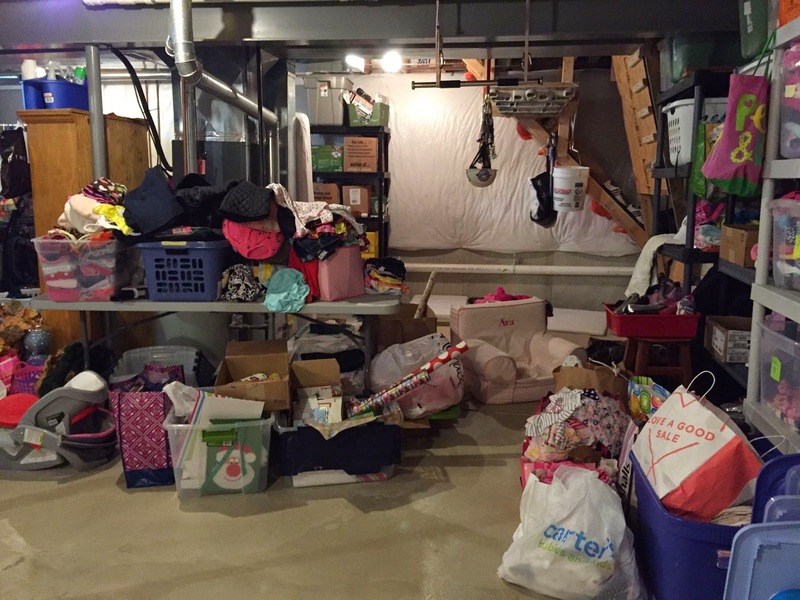 It's just that as the mom I feel like I'm trying to manage it all; the toys, the craft supplies, the seasonal clothing, the clothing that doesn't fit one child and needs to be passed down. 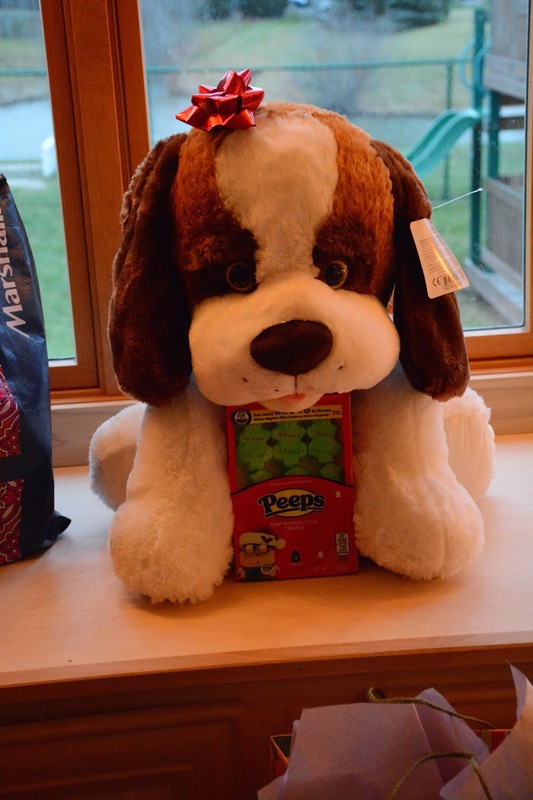 The books, the papers, the craft projects, receipts, mail, DVD's, shoes, outdoor toys, indoor toys, bath toys, puzzles, games, etc. 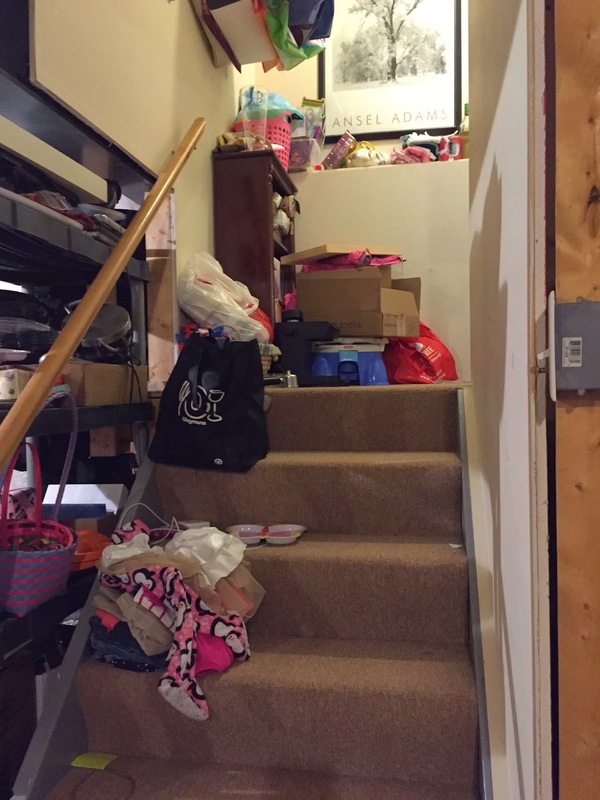 Quite frankly, a lot of the clutter belongs to my kids and while I think some of that is normal at this stage I also think I've perpetuated the problem by keeping things I shouldn't, buying things I shouldn't and letting the kids keep and have things they don't really need. 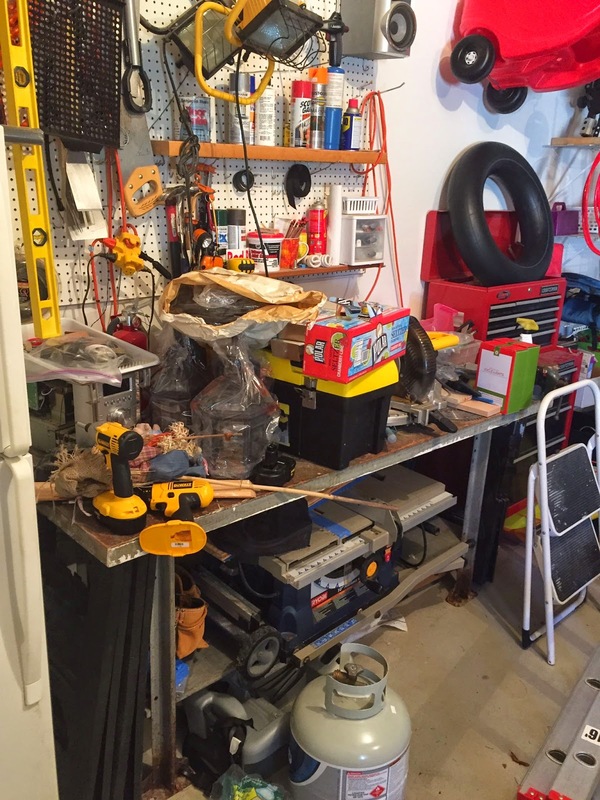 My husband also has his own share of stuff...garage stuff, basement stuff, music stuff, work stuff. Some of it needed and some of it not. 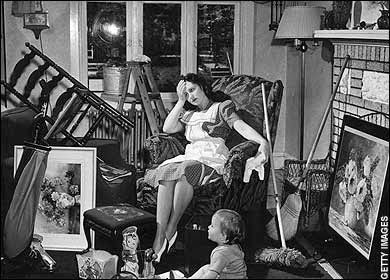 This is not a post to lay blame to whose clutter in the house is causing the biggest problem-- it's to say that as a collective whole our house is feeling cluttered and it's time to do something to bring things back to some semblance of order and peace. The physical clutter makes my mind feel cluttered. It overwhelms me daily, it distracts me from connecting with the kids. I keeps me from doing other things that are important to me. It's become a lot to manage and it has made me tired. I've begun to accept it as 'normal' with children, "It's just part of life with kids. Someday I will have time to organize and clean all of this. I've tried and it doesn't seem to matter, so I'm giving up," I say to myself. And just about the time that I was about to throw in the proverbial towel (if I could even find a clean one under the piles!) 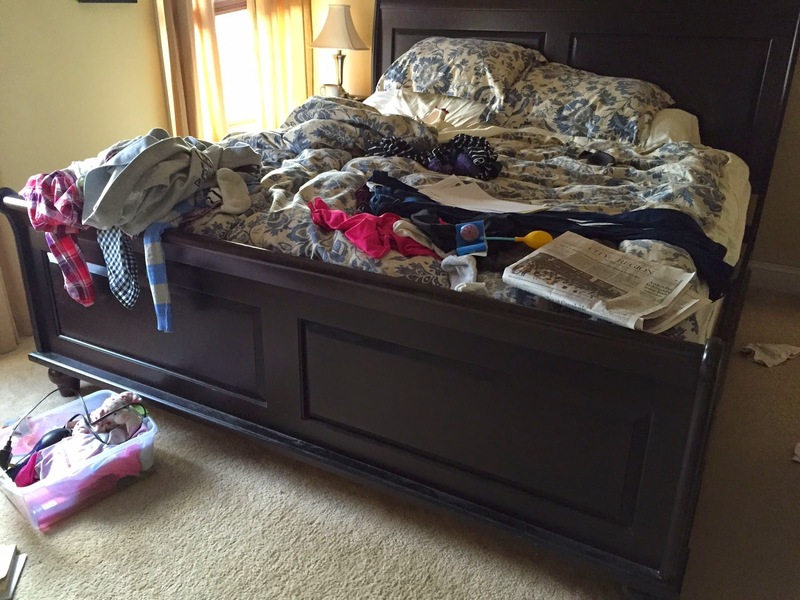 on trying to solve the clutter problem a book came into my life via a Facebook post. 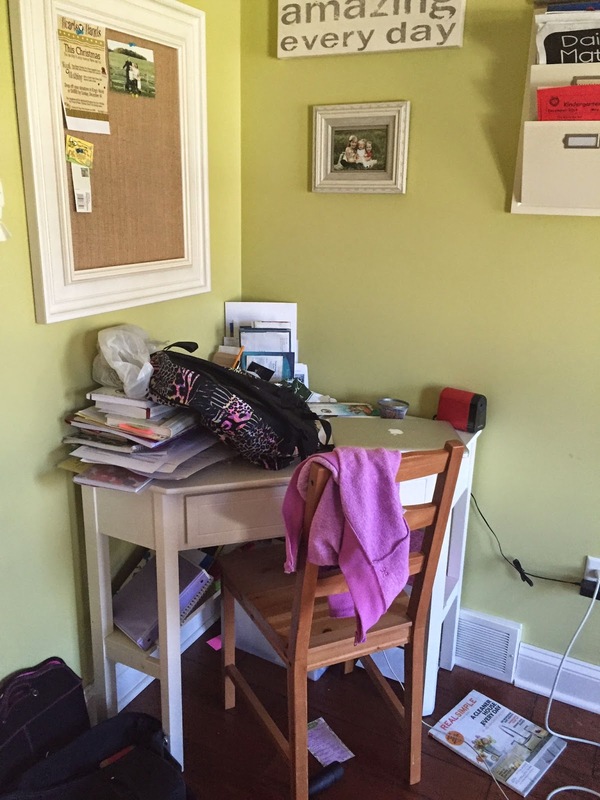 The book, Clutter Free: Quick and Easy Steps to Simplifying Your Space by Kathi Lipp was just released and I somehow caught a post that they were looking for folks to review it. While I have reviewed books on my blog in the past I have not done so in a while simply because life has felt so full, and quite frankly, overwhelming. But when I saw this book I knew I had to read it and I'm so thankful I agreed. I knew it would be a book that might just make life, even if it was just one area (the house), feel a little less overwhelming rather than more. Over the next couple of weeks I will share some photos (Ack!) 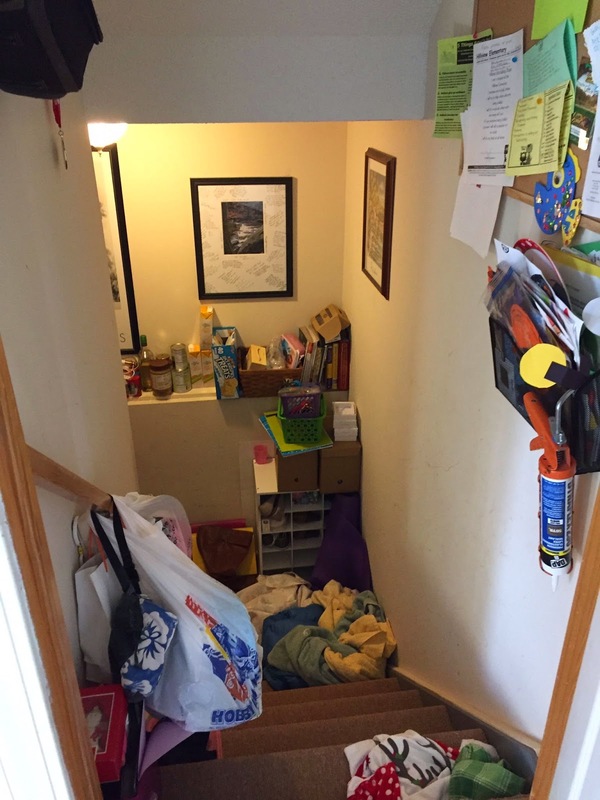 of some of our clutter problem areas. I will share a few fantastic quotes from the book and I will, hopefully, be able to share some "after" photos once we get a handle on things. Truly, so far, this has been one of those books that has changed my thinking. I'd like to say it's life-changing, and I think that it will be, but I am very much still at the beginning of all of this and de-cluttering with children around is a very slow process (much slower that my impatient self would like it to be!) so it's hard to "see" big changes at this point, though I can confidently say that lots of small changes have started to take place. I'm going to leave you with a short excerpt from Chapter 3 of the book. 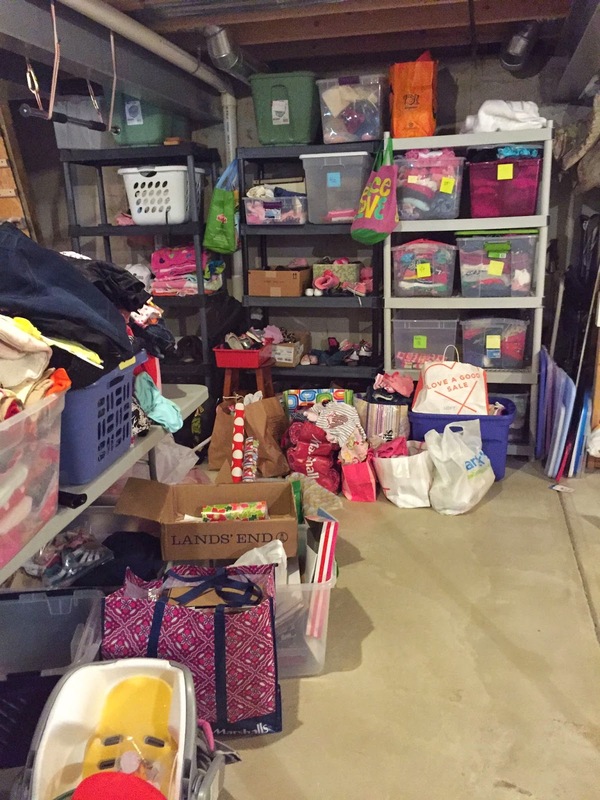 The Chapter is called "The Spiritual Side of Clutter" and I think it really gets to the heart of the matter in my home, and maybe yours as well. Tomorrow I will post some photos of our "experiment" under way! I think our spirit and our stuff are linked in a multitude of ways. 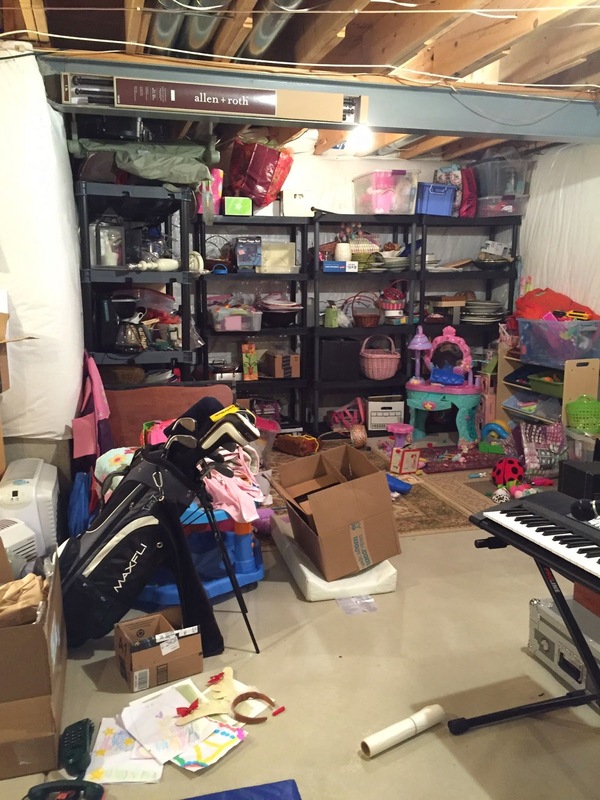 There are a couple of types of clutter. 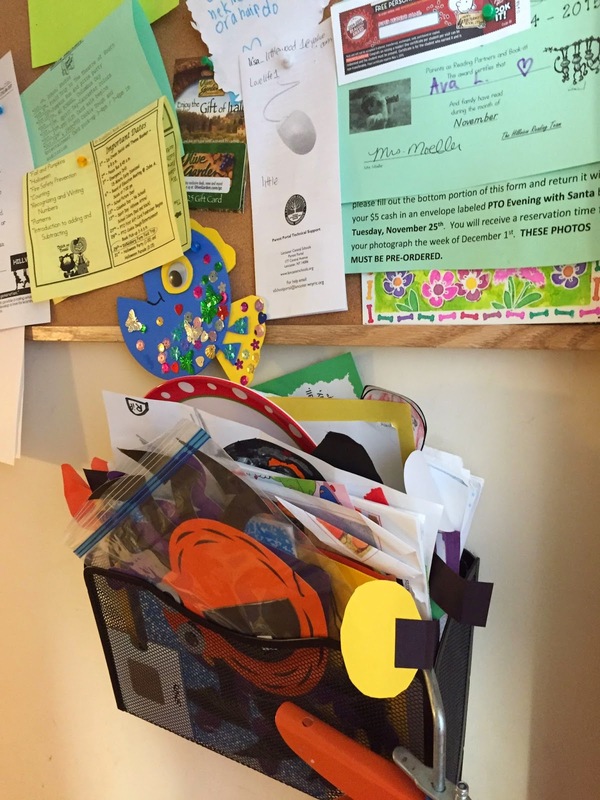 There's the everyday clutter that comes with living life, raising kids, and getting things done. 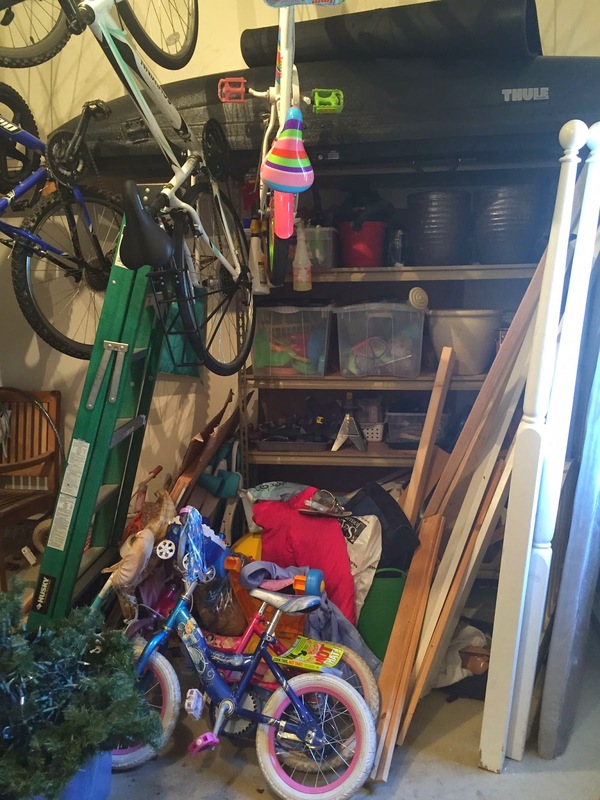 This clutter usually gets handled every couple of days, and your house gets back to normal. 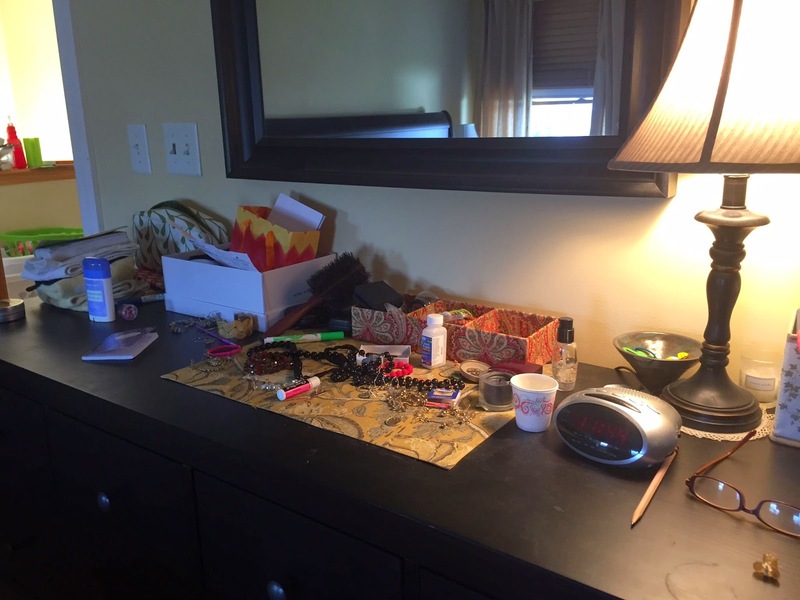 We all have that clutter, and it's just a part of life. 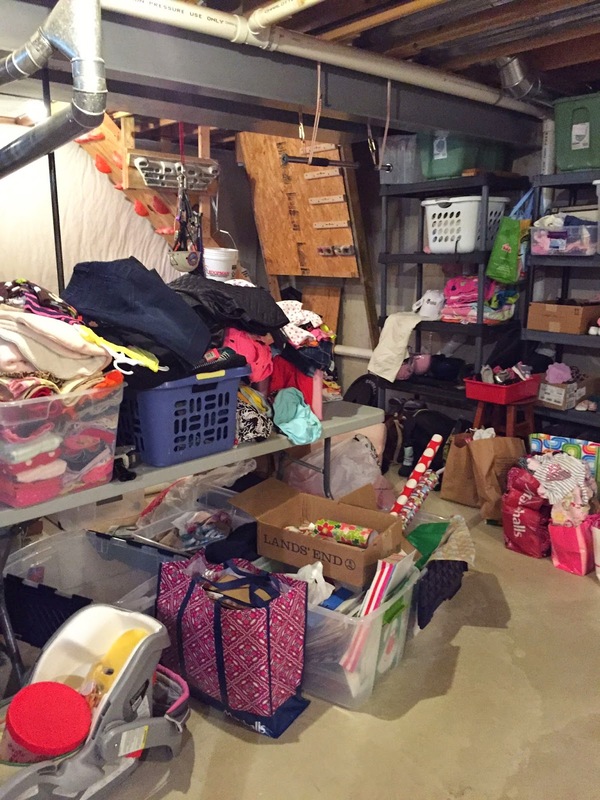 But for some of us, clutter can go much deeper. It's the piles of bills that aren't dealt with, the stacks of unopened mail, the bags of purchases that need to be returned and won't be. It's the laundry that's ignored and the piled up dishes. It's regularly not being able to find your checkbook or your child's schoolbooks. And yes, there is a spiritual side to that. Because what I'm describing right there? That's a lack of peace. 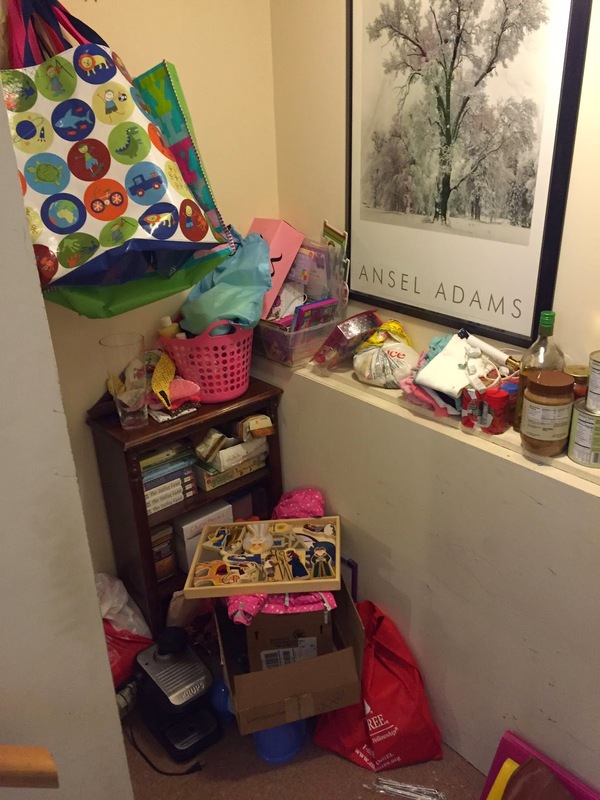 My husband has often said that he wants our house to be clean enough to feel safe but cluttered enough to feel loved. I think the best way to determine the right balance is to figure out when your house becomes a blessing or a burden. When My house is so messy and cluttered that I don't want to do the things I believe God has called me to (loving my family, working, preparing meals, spending time with him), then there's a problem. One the other hand, when I'm spending so much of my time making sure my home is perfect that I don't have time for those things God has called me to, that's a problem as well. There is a spiritual sweet spot to our stuff. This is not going to look the same for everyone. Each of us has to determined that for herself. But I want you to experience peace. I want you to make a meal without feeling like you need to gut the kitchen first. I want you to sit down and read your Bible to get spiritually fed without being distracted by all the piles screaming at you for attention the entire time. I want you to play a game with your kids without first having to tell them, "We'll do it after I clean the house." I want you to be able to focus on what really matters instead of focusing on, well, what doesn't. And I want you to have the peace-- spiritually and emotionally-- to be the person God created you to be." 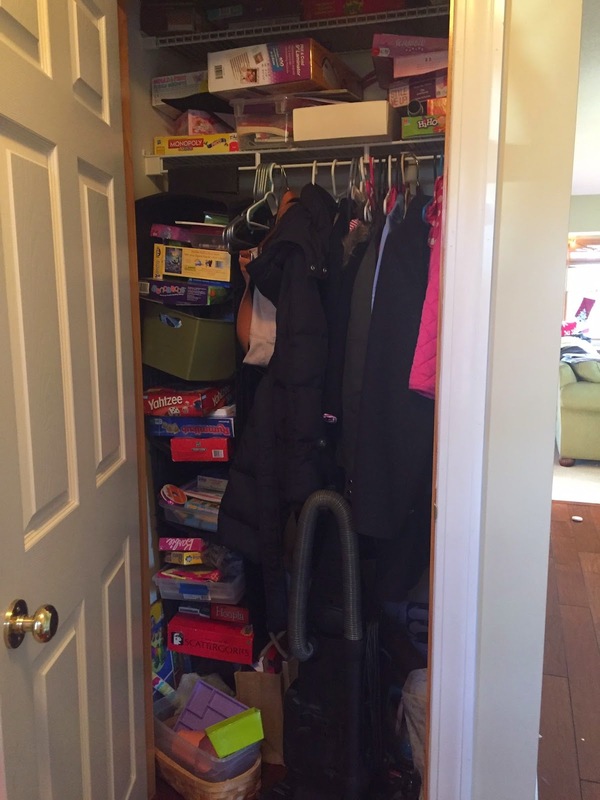 Here's to being Clutter Free in 2015! It's been exactly one month since I last wrote a blog post...a post about being present and slowing down throughout the month of December in an effort to focus on the things that really matter rather than running around willy nilly trying to check everything off of our Christmas to-do lists. Did I succeed at following my own advice? Sometimes I did and sometimes I didn't. I'm guessing that's right on par with many of your experiences as well, yes? Highlight 2: It's fun to see the girls' individual interests developing as they get a little bit older and more particular about what they like (and don't like!) to do. 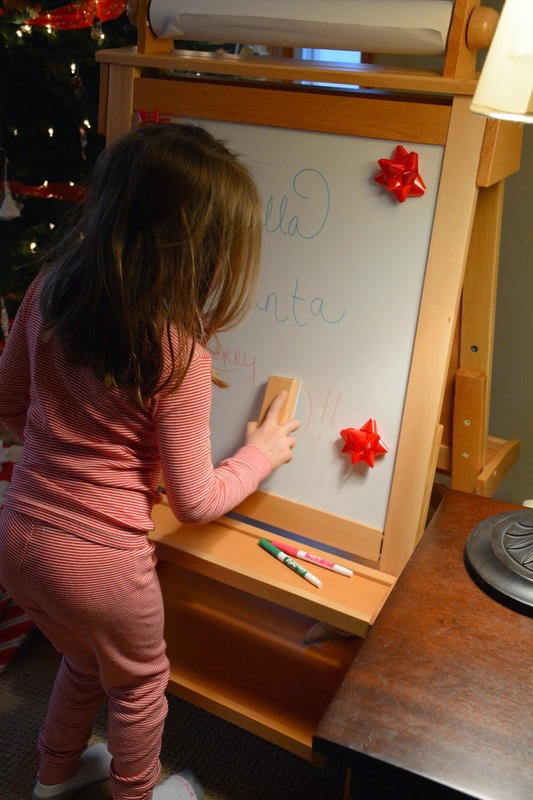 Ella LOVES to color, draw, and paint so "Santa" brought her an easel. 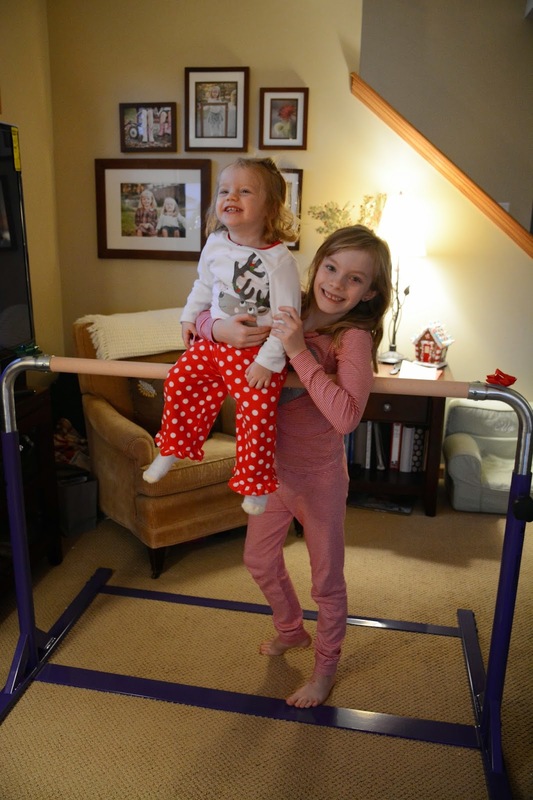 Ava is currently our little gymnast and "Santa" was extra generous in bringing her a piece of equipment called a kip bar. 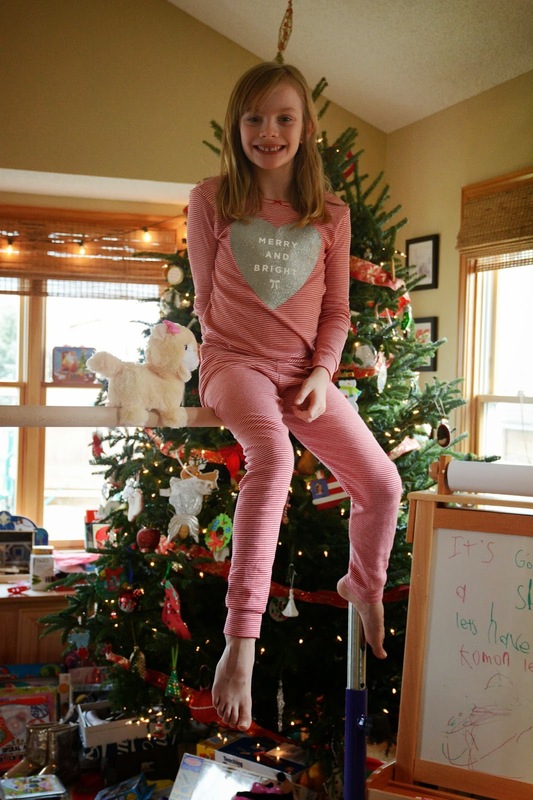 A kip bar is like the smaller of the two uneven bars in a gym and allows her to practice hip circles and other such skills right in our basement (actually in the middle of our living room for a few days, but now in the basement!). She was super pumped and we're excited to see her be able to practice, with the added benefit of physical activity in the confines of our basement during these bitter cold winter months. And Ella loves to draw till her heart's content on her easel. 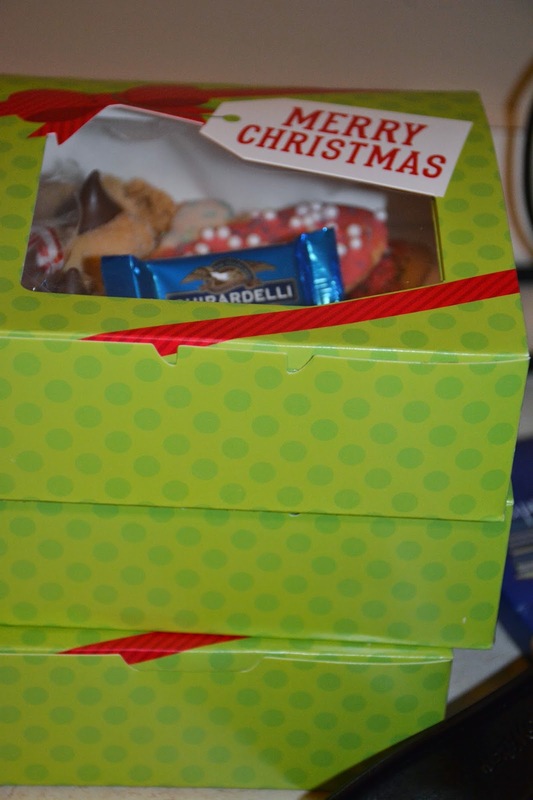 Highlight 3: We managed to follow through on our plan to make cookies and deliver them to our neighbors with Christmas cards. 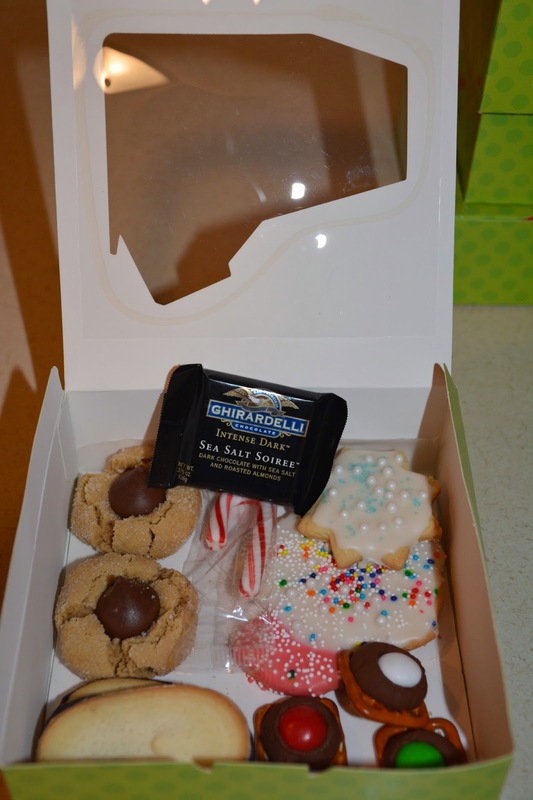 It was a warm night by the time we got to delivering and the girls and I had a delightful walk down our street, in the glow of street lamps and Christmas lights as they enthusiastically ran up to doors, rang doorbells and delivered their handmade treats and were greeted by warm smiles and "thank you's." Highlight 4: I'm not so sure that Christmas Eve service with an 18 month old qualifies as a "highlight", but it certainly was memorable and laughable. Someone else please tell me that they attempted to take all of their children to church (along with the next door neighbor girl), and wound up chasing a toddler around the foyer for 45 minutes. A toddler who completely trashed her brand new white tights by trying to climb up and down every conceivable chair in and out of the sanctuary and then trashed my nylons (shocker that I was even wearing a dress!) in her attempts to climb up and down everything in and out of the sanctuary. I mean we're talking quarter sized holes in hers and enough snags and almost holes in mine to qualify them for a Halloween costume. You can dress us up, but you can't take us out. Not right now anyway (; I went to church feeling put together and came out looking like one of the orphans in Annie (disheveled hair, sweaty armpits, ripped tights--it was a sight to behold!). Watching Tinker Bell on a 60 inch television. Alright...you wouldn't have picked up on this, but there was a wee bit of sarcasm in that last sentence. My husband got the online deal of the century on a television right after Thanksgiving. He told me it was a "little bit bigger" than our current television, which I was quite content with (a 40 inch flat screen that fit nicely in our living room and on top of the current piece of media furniture we have). I should have picked up on the fact that it was more than a "little bit bigger" when I saw the box sitting in our garage taking up the space of a small semi truck, but in the haziness of our comings and goings it didn't even register. Until he pulled the thing out of the box the week before Christmas and tried to balance it on our current television stand. Friends, this was a sight to behold. "Are you serious?" is what eeked out of my mouth. "Um, yeah. It's a little bit bigger than I thought." "Are you serious?" Um. Yeah. Nothing else nice was coming to mind. "Wow. Um. Babe. I'm not even sure what to say." What was coming to mind was a moral discussion about whether or not we are a family who has a 60 inch television in our living room (who even knew that was fodder for a moral discussion!)! I kind of pride myself on the fact that I like quiet evenings, don't watch a ton of television and try to encourage reading, and creative play over watching television or playing video games as often as possible. Does that kind of nerdy, 'likes to read' family own a 60 inch television? Or at least I thought not. Because now we are that family. With a massively large television in our living room. Dad loves it. The girls love it. I am completely outnumbered! Friends, I took this picture. Tinkerbell's head is significantly larger than my daughter's! 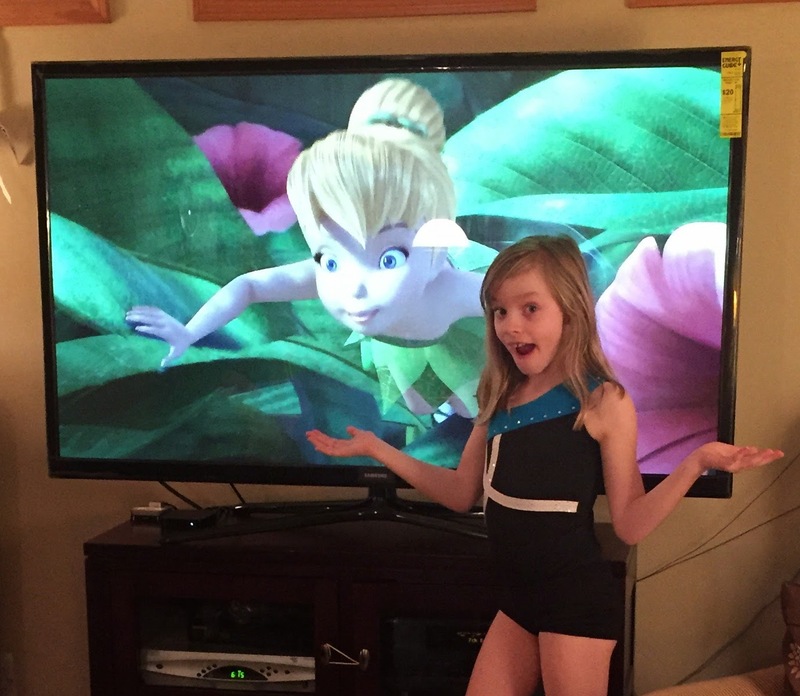 When the fairies become larger than your children, that's a big TV. "Babe, are we those kind of people?" I asked. "What kind of people?!" he asks, confused. Honestly, I'm not even sure. Really. Prior to this massive piece of electronic equipment teetering precariously on what now looks like a very small television stand I never really thought about what sort of message one was sending by owning a 60 inch television. I certainly don't judge you if you have one. However, if you were stranded on a desert island and needed to send a message I swear this thing could shoot NASA sized flares into the air for you. And if it failed in doing that you could at least be comforted by the life sized fairies and other creatures displayed on its screen. In the words of my mother, a woman who has been married for 37 years and knows a thing or two about keeping the peace (or biting your tongue!) when the occasion calls for it, "Oh, you'll get used to it." And another friend said, "It's not that big." I guess there are worse things than really big TV's. And we did end up buying a new entertainment cabinet this week, which makes everything a wee bit better. I gave up when Scott turned the television on this morning, turned to me with a sad, sweet, pouty face and said, "I'd be really sad to see the T.V. go." Ahhhhhh...ok, honey. I love you more than my wall space and ideals about large televisions...the TV can stay. That's our story...ahem, our new t.v. ...and we're stickin' to it. So, if you want to watch a movie or football game with larger than life action, c'mon over! In other news, we still have our Christmas tree up and many of the decorations are still out. The plan is to start to slowly put them away this weekend. I'm not in a super big hurry. I'm kind of enjoying them now that all of the busyness is over and figure we should enjoy the tree for a few more days after all of that hard work that went into setting it up! I also had intentions of of writing down some thoughts/goals for the year to come, being that it is January and that's what people are supposed to do, right? In all honesty, I spent most of the week picking up the house and then the girls had another snow day on Friday. So here's my thoughts about it all...January is a good time to revisit some things and set some intentions/loose goals for the the coming year, but I can't beat myself up if they're not etched into a stone tablet before January 1st. I will be journaling, thinking and praying over the next couple of weeks about my hopes for the year and would be happy to share them with you by the end of the month. I am reminded of Proverbs 16:9..."A [woman's] heart plans [her] way: but the Lord directs [her] steps. I am working through two really awesome books right now. 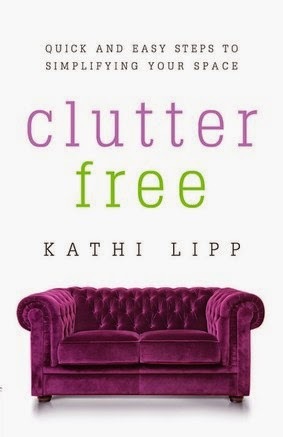 I was super pumped to be offered the chance to review this first one, Clutter Free by Kathi Lipp. Kathy's books are always super encouraging and very practical and this book is both so far. I will share more about how our own decluttering is going in my next post and offer a book review when I'm done. But, the book has already received awesome traffic and she currently has more than 5,000 women signed up through her website for the 21 Day Clutter Free challenge (worth signing up for just to get the encouraging emails...though my own de-cluttering with busy little ones at home is going to take a LOT longer than 21 days!). Well, the snow is falling here, I'm going to take the girls to see Annie later today and it's time to wrap this up because I can hear all manner of chaos ensuing in the kitchen right below where I'm typing...it usually takes the cadence of, "No Aubrey. No! No, Aubrey. No. NO AUBREY NOOOOOOOO!!!!"